Taekwon-do: An Olympic sport as well as a traditional martial art with modern life skills, for all the family. 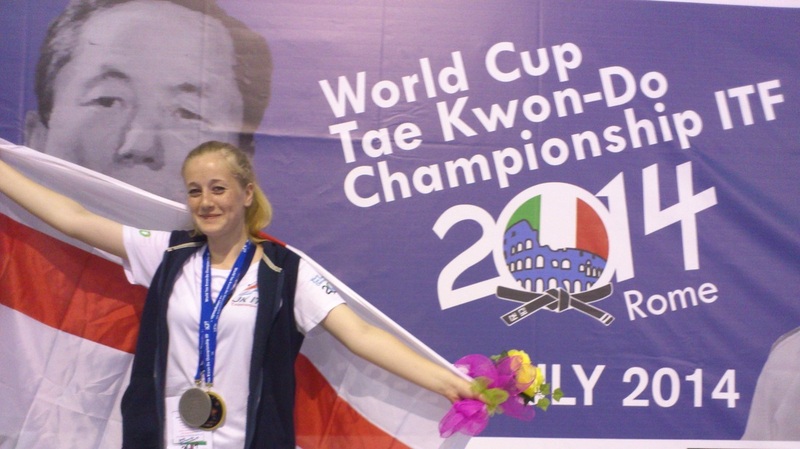 People join Taekwon-do for all sorts of reasons. Some come for practical self defence reasons, some come because its something a little different. Parents send their children for increased self confidence, anti bullying, discipline and others for fitness, social interaction or for medical reasons, recommended by their doctors and health practitioners. Families join together, because they can train together....not many activities allow you to do that. That's the beauty of Taekwon-do, it can be many different things to different people. Some students love the strength, body conditioning, control and the sort of moving meditation quality of the traditional patterns, others the adrenaline, the speed, and the tactics of competition and for others it is the pounding of pads and sweaty sessions of a fitness led training class. Taekwon-do is just for you...the individual. It is all about personal development, physically, mentally, socially and spiritually. Come and join us and find out which area of Taekwon-do you like the best, and find out how we can help you achieve the benefits and attain the personal challenges that will lye ahead. We have great instructors that will welcome you to your first class and take care of you throughout. Our achievements as a small club are high. In fact all of our Instructors have been National Champions, with 5 out of our 7 Instructors competing for their country at World Championships and 3 of them have come back as World Champions. They certainly know their stuff! They are also all first aid trained, vetted and are licenced under the National Governing Body, the British Taekwon-do Council.